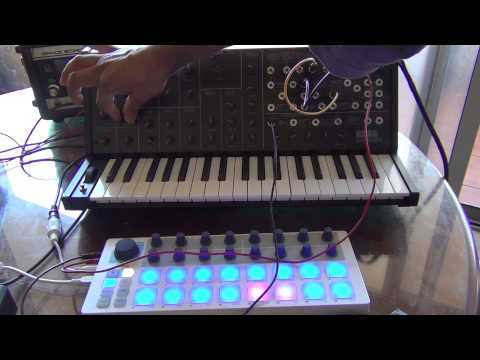 The Arturia beatstep sequences the MS20 via midi. CV from the beatstep modulates filter cutoff frequency. This video is edited. The full version is here: http://youtu.be/X5_mXkiiBOM.